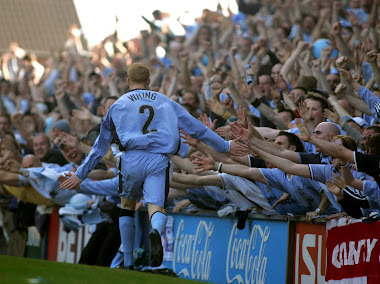 Over ten years have elapsed since Sky Blues’ supporters cheered a hat-trick on opposition soil. The Alexandra Stadium (formerly Gresty Road), home of Saturday’s opponents Crewe Alexandra, witnessed Roland Nilsson’s side coast to a 6-1 win back in February 2002. £5 million (cough) signing Lee Hughes took home the match ball while David Thompson and a brace from Laurent Delorge completed the rout. 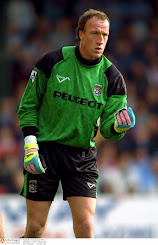 Gary McSheffrey was on the bench that day and would himself contribute a treble eight months later in the 8-0 thrashing of Rushden and Diamonds in the Worthington Cup. With just two league trebles during the eleven second tier seasons (Freddy Eastwood against Peterborough for the second) there’s hope that surely this year will see a glut of goals. Cody McDonald looks sharp and opened his account down at Yeovil but he has some way to go to match the exploits of record goal scorer Clarrie Bourton. During his City career (1931-1937) he scored 13 hat-tricks with seven in 1931/32 alone when he set the club record of 50 goals in a season. 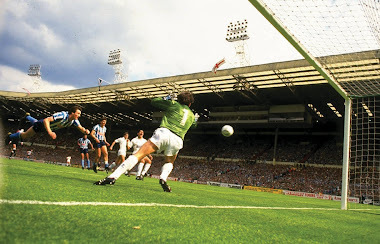 In the late eighties David Speedie claimed two headed trebles in one season, the 4-3 loss to Middlesbrough and the 5-0 destruction of Sheffield Wednesday, both at Highfield Road. The irony of the latter, as just five days later Sutton United and their Gander Green Lane ground took top billing on Match of The Day as we made national headlines. I’ve selected Speedie’s treble against Wednesday in the clip below for the quality of the goals and a reminder to the current crop that we really would like to see a City player topping the scoring charts this year and smashing the 20-goal barrier. 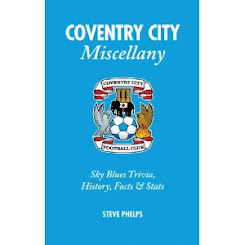 When I wrote my 'Coventry City Miscellany' last year the section on Sky Blues’ managers detailed an average tenure of just over two years. Andy Thorn’s sacking on Sunday after less than 18 months in charge now makes it 11 managers in 12 years, a horrible stat and one that needs stability immediately. The new recruits look promising but the play is so narrow we rely on Hussey and Clarke/Brown to supply the service from out wide which is inconsistent to say the least. The new man must be able to vary tactics as messrs Fleck, Jennings, Barton, McSheffrey, Thomas, Kilbane and Baker can play the game of football. Cody McDonald and Stephen Elliott know the way to goal and need either ball to feet or supply from out wide. We need width and we need it quick, we’re still unbeaten after all and turning draws into wins will soon see us climb the table. 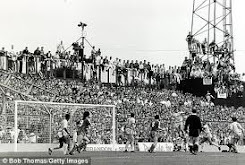 Yet again we’re hoping the change will generate success, if the City supporters get a whiff of glory the roof will come off the Ricoh and all visiting grounds. The big name managers have flunked at City but the thought of Dennis Wise making the similar kind of impact he made as a player is inspiring. 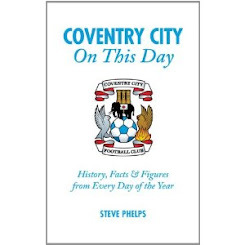 I want rid of the diamond formation and wing-play brought back to Coventry City. 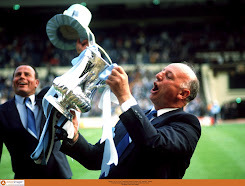 Arise Sir Dennis to work with Richard Shaw and Lee Carsley. Footnote 10:30pm Tuesday - what a great comeback - the first time we've overhauled a lead since September 2009 at Watford - great stuff City and still unbeaten! Great memories!! 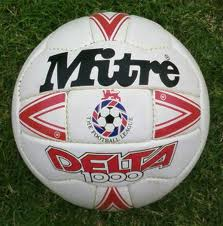 Mitre Delta - a living legend from all who basked in her!